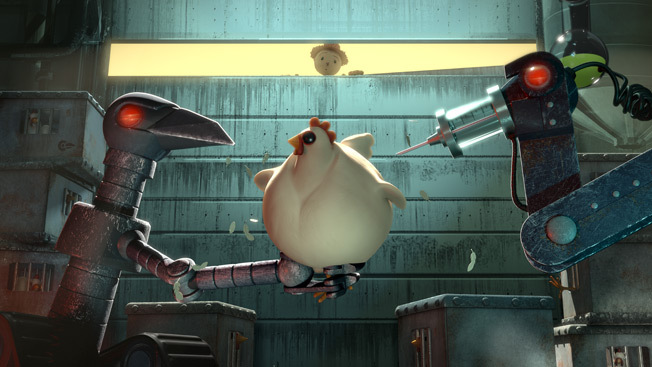 CANNES, France—CAA Marketing and Chipotle, which teamed up to win two Grand Prix in 2012, added a third here tonight, winning the top prize in the PR Lions contest for "The Scarecrow," its latest integrated attack on the evils of industrial food production. The work, done in collaboration with PR agency Edelman in New York, featured a gorgeous three-minute video from the Oscar-winning animators at Moonbot Studios—a cautionary tale set at Crow Foods, which is staffed by scarecrows who've lost their jobs at the farm and are forced into supporting the unsustainable processed-food system. It was set to a haunting, hypnotic Fiona Apple cover of the song "Pure Imagination" from 1971's Willy Wonka and the Chocolate Factory. "The Scarecrow" also won two golds along with its Grand Prix. U.S. agencies did well in the PR Lions contest, picking up four golds, six silvers and seven bronzes. The other golds went to Droga5 for Honey Maid and Grey for TNT.